The London Economics’ Education team has wide experience across the entire education arena, having undertaken many high profile projects ranging from the evaluation of early years policy interventions to the analysis of further and higher education funding systems. Our clients include central government Departments and Non-Departmental Public Bodies, the European Parliament, European Commission and OECD, as well as educational institutions, mission groups and associations. 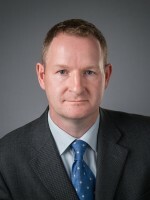 Dr Gavan Conlon is a Partner at London Economics and an expert in the economics of education. @colmharmon @Sydney_Uni @EdinburghUni Well done Colm! Are you prepared for the cold though?